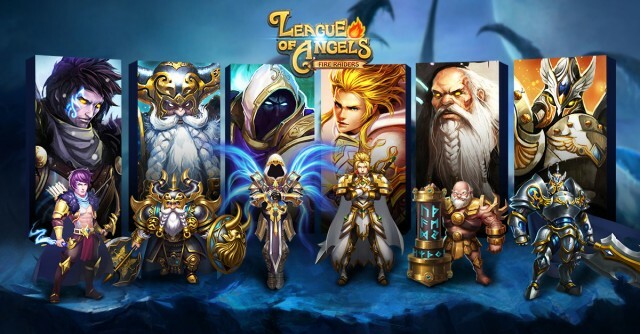 League of Angels - Fire Raiders, the award-winning strategy RPG from GTArcade, has grown into a mobile sensation with millions of players from all over the world. Part of that success is thanks to the League of Angels franchise that was built before it. With League of Angels - Fire Raiders, the goal was to bring the LoA experience to mobile devices. While the draw of browser games is how easy it is to jump in and play, a player still has to be at a computer. In comparison, a mobile game is far more accessible, allowing players to log in anytime, anywhere as long as they have their phone and an internet connection. Whether riding the train on their daily commute or relaxing on the couch at home, players are always just a few taps away from their favorite mobile game. For the mobile market, GTArcade took Fire Raiders in a whole new direction. Instead of the more realistic aesthetics of the original browser game, a more colorful, stylistic design was adapted to appeal to mobile users. The result was something GTArcade is very proud of. Each hero was converted to mobile while retaining all their unique qualities, and some were arguably given even more character. Fans of LoA saw their favorite Angels and Heroes in a new light, and fully embraced Fire Raiders and ther new mini-companions. More colorful, stylistic design was adapted to appeal to mobile users. GTArcade and Youzu Interactive took a chance with a new IP, and now that IP has grown into a worldwide phenomenon that generated award-winning browser and mobile games, especially League of Angels II. The future of League of Angels is as promising as ever as we explore all opportunities for the franchise.